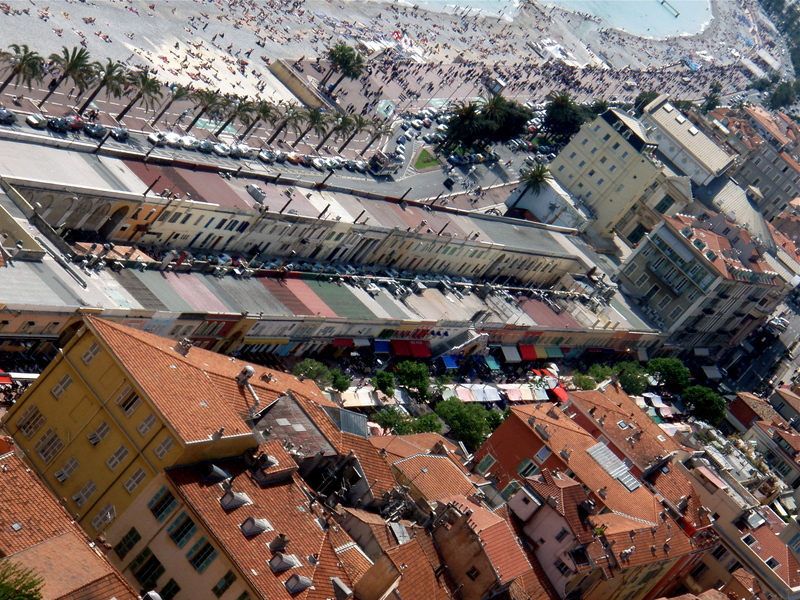 Nice is an underrated city. The fifth largest metropolis in France has a reputation for being noisy, crowded, and a place where retirees shuffle off to live out their final days in sun-kissed obscurity. Dig a little deeper though, and this bustling town reveals a wonderful depth of character with just the right sprinkling of Franco/Italian seasoning. Here are 4 fun things to do in Nice, France. Don’t miss it. Yes, the streets are narrow and charming, and the flower market held on the pedestrian-only cours saleya is a must, but the main reason I look forward to visiting this section of Nice is food. Around every corner, it seems, there’s another opportunity to indulge in excruciatingly delicious Nicoise cuisine. Think authentic Italian pizza, socca, Ratatouille, pastries, homemade ice cream, and the list goes on and on and on…. Following the hectic flower market scene in Nice viewers are treated to a wide shot of John Robie’s luxurious cliff side villa. 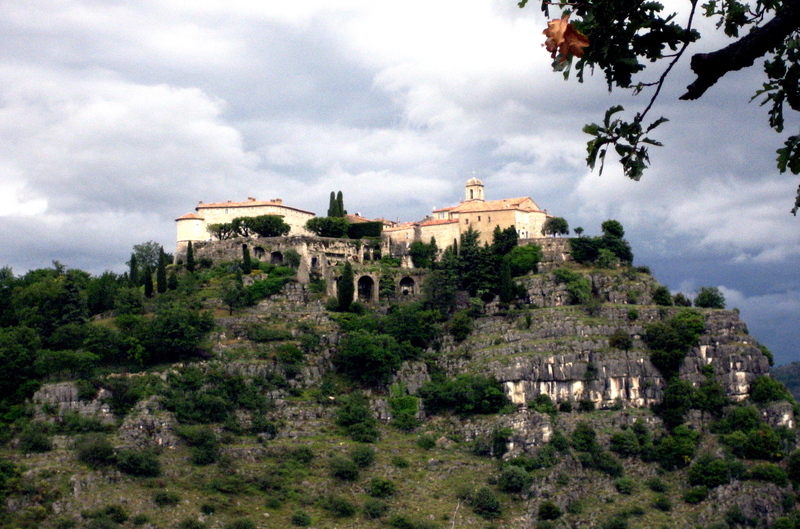 But, you may be asking yourself, is that really the villa? It’s been a while since our favorite former jewel thief, John Robie, was last seen lounging on the beach in Cannes. Not to worry though, the saga continues…. In Cannes, Robie receives a phone call from his old friend Bertani who has arranged a clandestine meeting at the Nice flower market with London insurance rep. H. H. Hughson. Hopefully Hughson can provide information that will help lead to the capture of the real thief. And how will Hughson recognize Robie? He’ll be flipping a coin, of course. Alfred Hitchcock’s To Catch A Thief, starring Cary Grant and Grace Kelly, premiered in New York City in August of 1955. 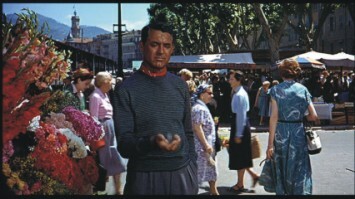 Adapted from a novel by David Dodge, To Catch A Thief tells the story of ex- jewel thief John Robie (Grant), who is forced out of retirement by a mysterious string of burglaries in Nice and Cannes. It seems the thief is using all of Robie’s old tricks and the police suspect him of committing the crimes. In order to salvage his reputation, and his hide, Robie decides to track down the copy cat himself. Along the way he becomes romantically involved with the icy, but very beautiful, Frances Stevens (Kelly). 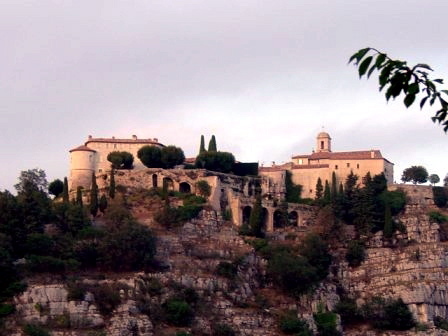 Aside from the obvious star power of Grant and Kelly, the movie showcases the stunning scenery of the French Riviera and the villages just north of the coast. 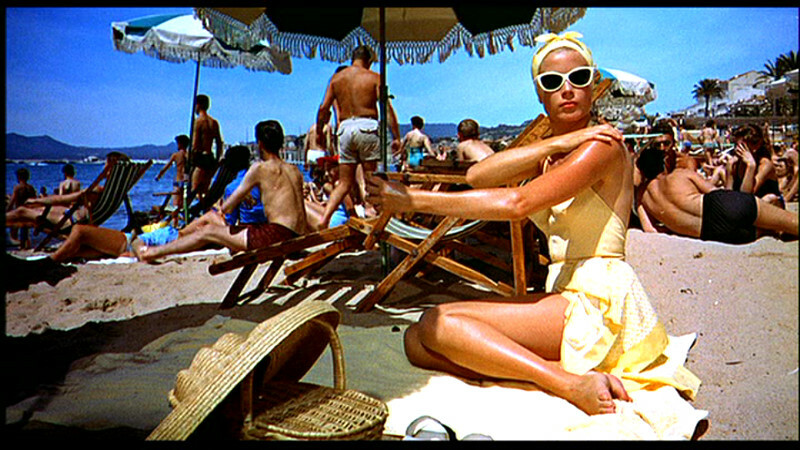 To Catch A Thief still stands, in my opinion, as one of the most visually captivating films ever made. If you love markets then this is the one not to miss. Located on the pedestrian only Cours Saleya in the old town, the bustling Nice flower market is held every day of the week (except Monday) from 7 a.m. until around 1 p.m. Arrive by mid-morning (at the latest) and shop for flowers, spices, fresh fish, produce, and much more. This is as much a social event as it is a market, so save plenty of time for people watching and a glass of chilled rose’ at one of the cafes with outdoor seating. Also, don’t miss the best socca in the south of France at Chez Theresa (located in the middle of the market).